Robert Louis Stevenson was not only a gifted writer, he was also an indefatigable traveller. His thirst for adventure was formed by his boyhood visits to remote Scottish lighthouses, and he spent much of his life fleeing the rigours of cold climes and social orthodoxy. Along the way he canoed through Belgium and France, booked passage to and across America, and finally famously settled in Samoa in the South Seas. 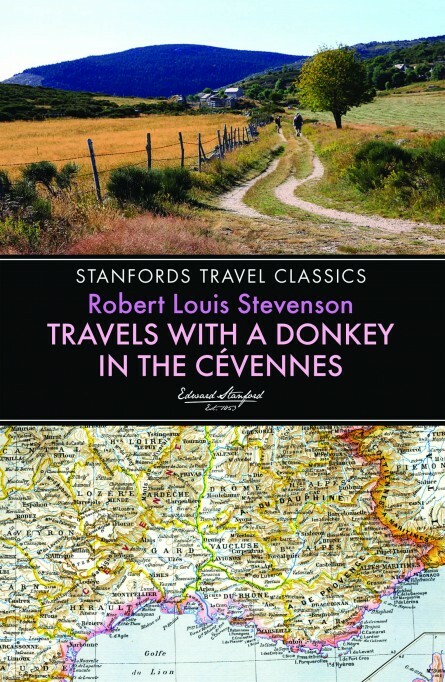 The walking trip that Stevenson describes in Travels with a Donkey in the Cevennes (1879) was taken when the nascent author was still in his twenties and pining for a lost love. Accompanied by Modestine, the eponymous donkey he hired to carry his camping gear, the journey proved both challenging and charming. The book is infused with all of the qualities that make Stevenson the most popular of writers: humour and humanity, poetry and perspicacity, ebullience and intelligence. Size 198 x 129mm / 7 ¾” x 5”. Extent 96 pages.